You are here: Home / Delete Social Media / How to Completely Delete Tumblr Account? 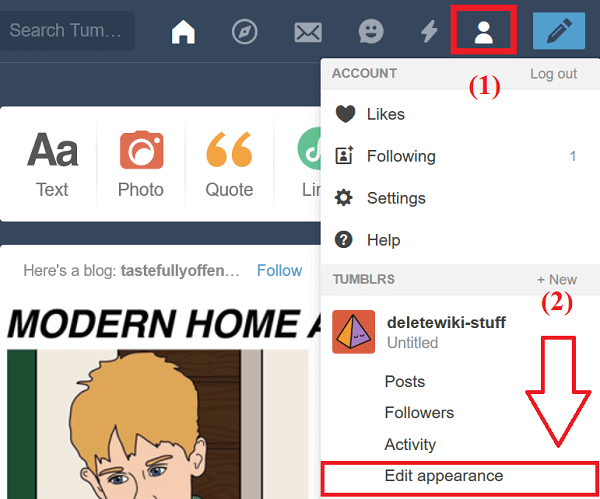 How to Completely Delete Tumblr Account? Tumblr is a social networking website that can also be used as a microblogging site. Tumblr has modified itself since the collaboration with Yahoo. 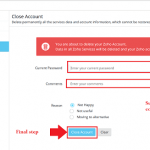 Account deletion process has also been modified accordingly. Don’t be confused about deleting a blog or deleting the entire Tumblr account. You can always delete your secondary blog without having it affect your Tumblr account at all. Tumblr is a social networking website that can also be used as a microblogging site. Tumblr has modified itself since the collaboration with Yahoo. 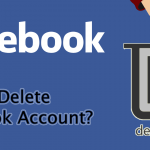 Account deletion process has also been modified accordingly. Don’t be confused about deleting a blog or deleting the entire Tumblr account. You can always delete your secondary blog without having it affect your Tumblr account at all. Web address associated with your primary blog will be released shortly. Later, you can sign up with same username or email address, but you may not get the same web address as other users may have claimed it. 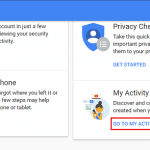 Log in with the username and password of the account you want to delete. Click on the account icon at the top right corner of the page. A drop down list will appear. Among the drop-down menu click on Edit Appearance at last. Scroll down to the bottom of the Edit Appearance page and click on the “Delete Account” option. Once you click on Delete Account, a confirmation window will appear. This window will tell you the consequences of deleting your account. 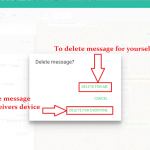 If you still want to continue the deletion process enter your username and password and click on Delete Everything. Now, your Tumblr account is permanently deleted. You can now use all of the credentials that you had used in the account just removed to create a new account if you prefer. 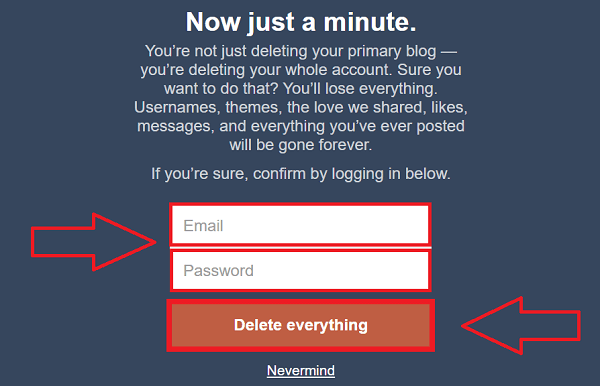 To delete secondary blogs in Tumblr follow these simple steps. Log in with your user ID and password of Tumblr. 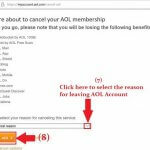 Click on the blog you want to delete from your account. You will be directed to next page. At the top right of the page click on settings. 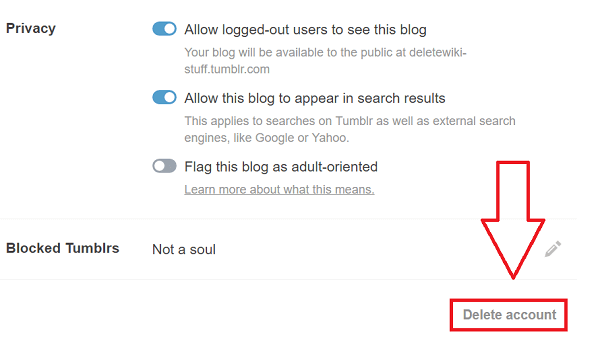 At the bottom of the settings page click on the “Delete this blog” option. Click on Leave this blog and click on “OK” at the confirmation page that you will be directed to. And your blog will be deleted.